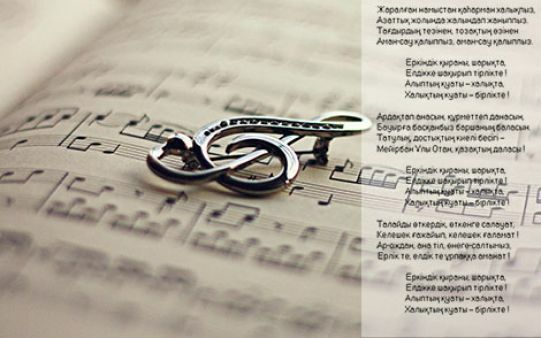 The competition for the music and lyrics of the new anthem of the Republic of Kazakhstan was announced in 1992. About 750 projects were sent to the selection committee. During the discussion, the public felt the need to keep the music of the previous anthem, which is near the heart of every citizen of Kazakhstan. Anthem is a complex musical and poetic work. Generally, it consists of the motive and lyrics. The four winners left after the poetry marathon.Three of them: Muzaffar Alimbaev, Kadir Myrzaliev and Tumanbai Moldagaliev are the well-known poets of the middle generation. A young and talented poet Zhadyra Daribaeva joined them later.